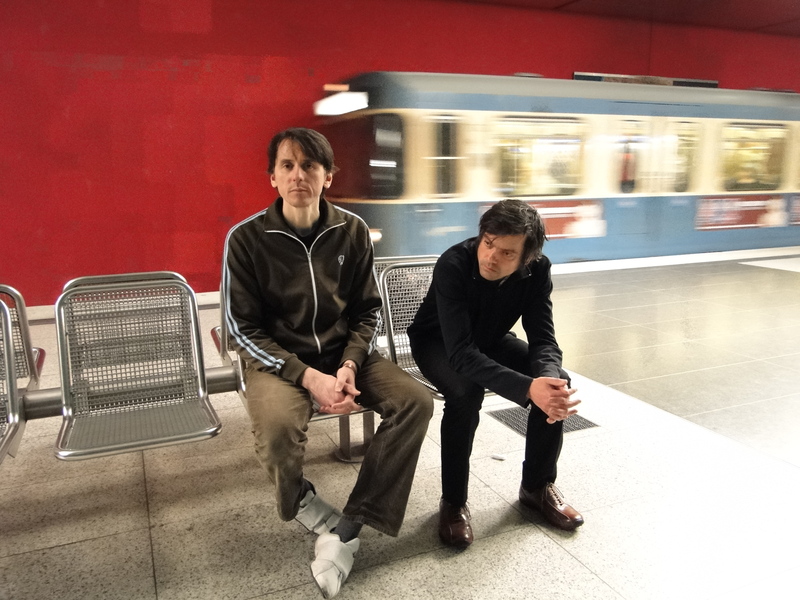 Singer-songwriter Pete Fijalkowski (Adorable and Polak) and guitarist Terry Bickers (The House of Love and Levitation) have made one of the best albums of 2014 so far. Broken Heart Surgery is an intimate, stripped-down record that deals with the breakup of a relationship. Congratulations on the new album – it’s a superb record that can be comfortably filed alongside other great breakup albums, like Bob Dylan’s Blood On The Tracks, Nick Cave’s The Boatman’s Call & Ryan Adams’ Heartbreaker. Considering the subject matter, was it a difficult record to write and record, or was it a cathartic process? Pete Fijalkowski: When I first started writing and recording the songs, back in 2003, on my own, I didn’t set out to write a breakup record, but after the first couple of songs were obviously in that vein – Betty Ford and Loved & Lost – it seemed a good idea to let the songs lead me and to write a whole album with a single theme – to give it a more coherent whole. It was a different experience, as I was writing completely solo, without a band or partner. It was quite a lonely process, which was apt for the subject matter. It’s a very personal record that outlines the breakup of a relationship and the aftermath. Although it’s a dark, melancholy album, it’s shot through with deadpan wit and black humour, as well as anger, bitterness & sadness, isn’t it? PF:My songwriting has evolved over the years and I think it’s far less oblique, easier to understand and more straightforward. I wanted to keep a sense of humour in what is essentially a dark subject – to temper it slightly and inject a bit of gallows humour. I hope that some of the lines make people smile. In your lyrics, you often compare love and relationships to objects (Submarine by Adorable) or you use technology metaphors, like ‘voucher code’ and ‘ free download’ [Out of Time – from the new album], or Tracer by Polak. Would you say this is a lyrical trait of yours? PF: Metaphors are a typical songwriting device, used throughout the ages – I think most songwriters use them, so I don’t see it as anything unusual. I’ve been guilty before of hiding behind them – where the metaphors are so obscure that no-one can really know exactly what I’m singing about. On an early Adorable track called Homeboy, I’m not even sure what exactly I was singing about! There are other songs where I know what they are about, but I wouldn’t expect anyone else to be able to decipher them. These days, I still use metaphors in some of my tracks, but in a far more accessible way. PF: I wanted the album to reflect the various aspects of a breakup, so while some of the subject matters are taking place more in the head, there are others that have a very physical location and an obsession with small details – the division of objects between a couple (Breaking Up), the forgotten objects left behind in a now half-empty flat (Queen of Stuff) or the changing soundtrack to a couple’s life as their relationship deteriorates – from furtive whispers and kisses, to slamming doors and uneasy silences (Sound of Love). There are some brilliant lyrics on the album – some of which made me laugh out loud. For example, “Hope – it’s more addictive than coke. Yeah – it’s cupid’s cruel joke…” (Betty Ford) and “[she] just left me with cutlery and a whole pile of her duff CDs…” (Queen of Stuff). You’ve always had a way with a great killer lyrical couplet, haven’t you? Who are your favourite lyricists? PF: I look back to some of the great songwriters of the 1940s – Leiber & Stoller (Is That All There Is?) and Rodgers & Hart (My Funny Valentine). From the ’60s, I’d go for Leonard Cohen – Famous Blue Raincoat. I’m sure there are more recent examples, but those are the first three examples I could think of. They use lyrics to tell a story, but you don’t need a degree in semantics to understand it, they have a sense of humour and are poetic – they go beyond the humdrum. Actually, I’ve thought of another – Neil Tennant of the Pet Shop Boys, whose lyrics are clever, funny and down to earth. What are your favourite breakup songs by other artists? PF: I’ll go for three – The Thrill Is Gone by Chet Baker; Yer Feet by Mojave 3 and ‘Til I Get It Right by Tammy Wynette. 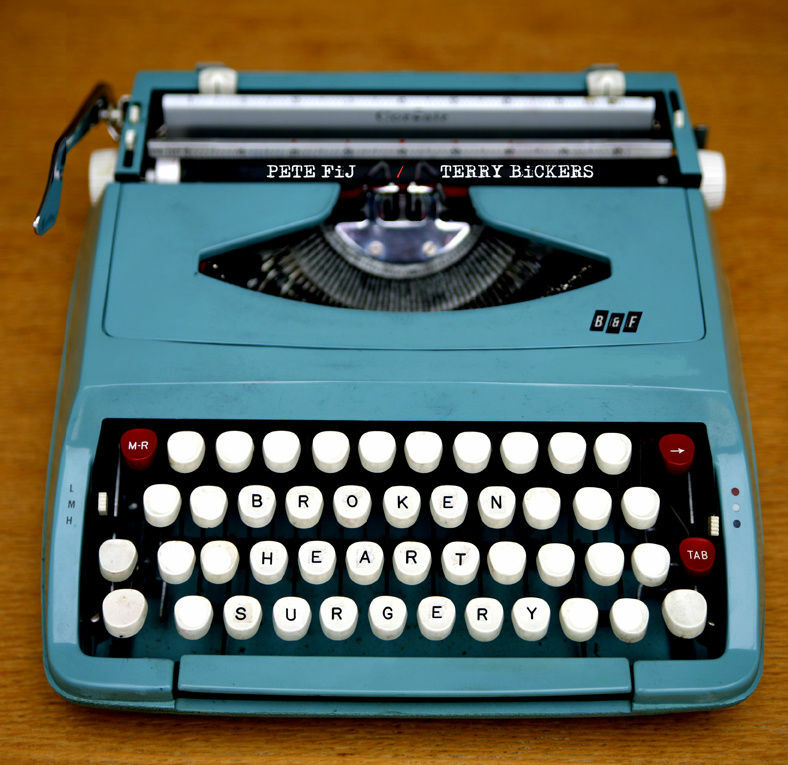 What did you want to achieve with Broken Heart Surgery? Are you happy with it? PF: First and foremost, I wanted to make an album that I was proud of. And I am, so that’s the job done from an artistic point of view. Terry would love to go back and tinker, but that’s Mr Bickers for you! The second challenge was trying to make the album see the light of day – both me and Terry are as poor as church mice, so the challenge of getting the record made and then out was a big one. We couldn’t find a label who were prepared to back us, so I had to fund the recording myself, and then do a Kickstarter fan-funded thing to get the record pressed and promoted. It was a bit of a plan Z, after we had run out of other avenues, but it’s actually been a great experience. The third challenge is having the record come out and for it to be heard by all the people who need to hear it – so that it has as good a chance as it can and it can then stand or fall on its own merits. I’ve made albums before that I’ve been really proud of but no one has heard – Rubbernecking by Polak would be a good example. It didn’t get reviewed anywhere, which was such a frustrating experience after pouring all of your heart into for 18 months. That experience almost made me give up music altogether. On this album though, I’m glad to report that it’s been listened to and reviewed and, amazingly, all the reviews have been very positive, which was a new experience for me. How did the new album come about and how did Terry Bickers get involved? What’s your working relationship like and what did he bring to the record? 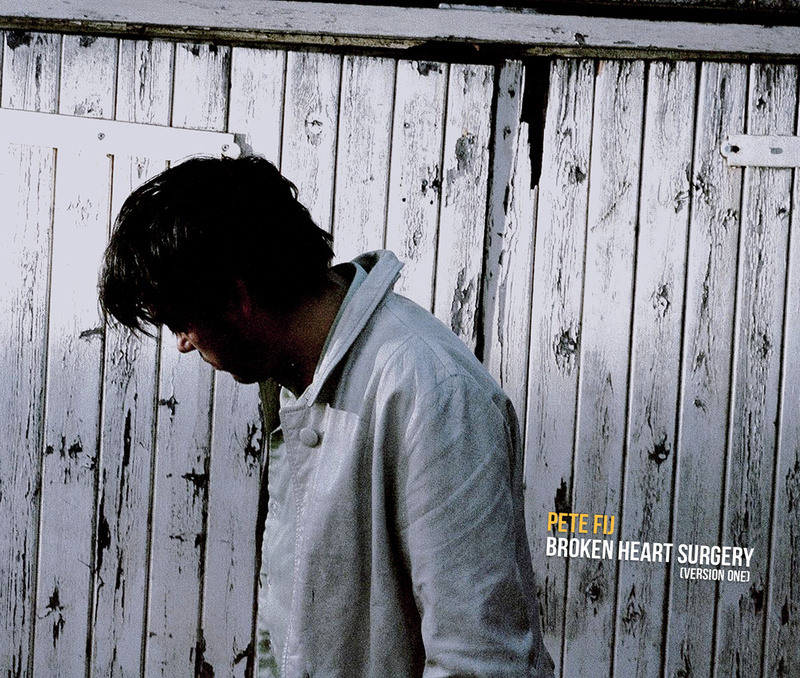 PF: I had finished recording the first version of Broken Heart Surgery in 2004, but then I just put it in a drawer and didn’t do anything with it – either working on my own meant that I didn’t have the responsibility of pushing it, or maybe I was worried about rejection, or maybe my task at that stage was just to satisfy myself to record the songs. I don’t know why I didn’t get on and do it… I did consider just giving up on music at that stage. A few years later I was offered a chance to play with Terry in a beautiful church and it was too good a chance to miss. I had crossed paths with him a couple of times and had always been a huge fan of his work in The House of Love, so it seemed like the perfect opportunity to get him to play with me and to tick a box for myself of playing with one of my heroes from my youth. We got on and the show went down well, so we took it from there. We re-wrote a lot of the material and then headed back to the studio. You can hear what Terry brought to the party by listening to the two albums back to back. My pre-Terry version of the album is available through our Bandcamp page www.petefijterrybickers.bandcamp.com ). My version was deliberately stripped down and bare – Terry added some lovely, tiny touches. If the album was a film, I see myself as the scriptwriter and Terry as the cinematographer. I tell the story and he makes it look beautiful. We’ve got to know each other over the years and have a close relationship, though we are very different people – it’s like a bad ’70s cop show where there are two mismatched personalities, brought together by a common goal. Only we don’t catch crooks, we write melancholy songs! Terry came along and added guitar parts and we revisited some of the songs and changed the structures a little – to give him a bit of space. Some of the songs remained almost unchanged (Loved & Lost and Queen of Stuff) , while others developed further – Downsizing, for example, is quite different to the original. Of the three songs that were written post Terry (Breaking Up, Out Of Time and Sound Of Love), Breaking Up started life as a chord structure that Terry had knocking around, which I then took away and worked on, while the other two were songs I wrote and brought to the table for Terry to work his magic on. Terry likes to take tracks away and work on his parts – they evolve all the time, even after we have recorded them. He often plays different parts live to those he has written – I’ve never some across someone who has the scope to come up with so many different and interesting parts for the same piece of music. He is a genuine musical enigma. How you did approach the new record from a musical point of view and what sounds were you looking for? Where there any reference points or obvious musical influences that you brought to the studio? PF: We were looking for natural sounds – ‘organic’, if you want to use a wanky term. Although the record might sound small and insular, there are an amazing amount of little touches and layers if you listen carefully, but it’s all very small and very quiet. It’s a very delicate thing. For me it was Johnny Cash’s American Recordings series, Simon & Garfunkel, The Velvet Underground, The Smiths, Calexico , The Kills, film scores (Ry Cooder’s Paris Texas), Sergio Leone, John Barry, Vini Reilly, Spiritualized, Chet Baker and Vincent Delerm. The songs are quite stripped-down and raw, aren’t they? It’s quite a bluesy and primal record in places [Betty Ford and Breaking Up], but also folky [Downsizing] and country [Queen of Stuff]. Parallel – one of my favourite songs on the album – has a ’60s spy film soundtrack feel. Musically, is it a nod to John Barry? Terry came up with the idea for the whole section before the final chorus which I absolutely love – and we saw it as a cross between John Barry and Sergio Leone. As fate would have it, when we came to record it, John Barry had died just a few days before, so it seemed particularly apt when Terry was laying down his guitar parts. I think Broken Heart Surgery is an intimate, late-night album to be listened to with a stiff whisky close to hand. Do you agree? PF: I think you could argue about the drink. I’d say it was more a bottle of wine album, though it could be a black coffee, but I would agree about the time. So, what new music are you currently into? PF: Cashier No 9, I am Ampersand and Lykke Li are some of the more recent acts. Last time we met, it was in Brighton in the late ’90s/ early Noughties and you were in Polak. What have you been up to since then? What happened to Polak? Have you split up? PF: Polak split up after the indifferent reaction to Rubbernecking – Krzys is now a lecturer in Fine Art, Bob went onto be the main songwriter in Shrag and Chris drummed for Astrid Williamson. It was a great time, but there aren’t any plans for a reunion. To be honest, I’m not sure anyone even remembers us! Looking back at your time in Adorable, are the memories good or bad? How do you feel about it now? Do you ever wish you’d been more successful? Could you have dealt with the fame and the pressure? PF: We were very much at the wrong time – between two periods in UK music – just post-shoegaze and pre-Britpop, though Suede, The Verve & Radiohead managed to straddle those periods quite successfully, so I can’t use that as too much of an excuse! I didn’t realise it at the time, but I was pretty unhappy during my time in Adorable. I felt a huge responsibility – it felt like I was trying to drag everyone with me unwillingly and it was an immensely frustrating experience. We had some amazing times – seeing the world and playing to some great audiences – but it wasn’t to be. I’m pretty happy with how it turned out – I’m so much of a better person for having gone through all that and I’m very comfortable with who I am now. I’m not sure I would have liked the me I could have become if we had become extremely successful. It is interesting working with Terry, who had a pretty similar experience around the same time [in The House of Love]. We’ve chatted about our shared experiences while travelling on long train journeys. So, what’s next for you and Terry? Do you want to make another record? If so, can we expect the next album to be more upbeat? PF: We start work on the first new track next month. We have two basic plans – to make the album more upbeat and not take five years to make it!